Multiple well-placed sources and numerous store employees indicate that Whole Foods Market plans to close its longstanding store at the corner of Briarcliff and LaVista Roads next April, and "consolidate" it with the upcoming 365 store near Decatur and the upcoming flagship store in Midtown. Multiple calls and emails over the past week to Whole Foods and their media relations department seeking comment on the store closure have not been returned. The new Decatur area store, slated to open December 12, is meant to be the grocer's answer to Sprouts Farmers Market and Trader Joe's, with an emphasis on less expensive private label products. The store anchors the new North Decatur Square development at the corner of North Decatur Road and Church Street. The Midtown store, to be located on multiple floors of the Icon apartment tower, is located at the corner of 14th and Spring Streets, would span 70,000 square feet, and be labeled a "flagship." The new Midtown store is about five miles from the Briarcliff store. (The Whole Foods at Midtown Place is about four miles from the Briarcliff store.) Amazon seems to believe that it can make the new Whole Foods Midtown enough of a "destination" that customers will be willing to drive further for it. The new Midtown store, first announced in 2015, was to open in 2017, was later pushed to summer 2018, and is now reportedly expected to open summer 2019. The Briarcliff Whole Foods, by far the smallest of all the grocer's Atlanta area locations, was also the first in the state to open when it debuted in April 1999. The store, which measures 27,362 square feet, sits on just over three acres and is owned by Whole Foods Market Group, according to DeKalb County property records. The county values the site (land + building) at about $6.5 million. By comparison, the Whole Foods in Buckhead is 53,974 square feet, its existing Midtown store is 49,406 square feet, and its recently renovated Sandy Springs store is 49,506 square feet. The recently opened stores in Chamblee and Kennesaw are 45,000 and 46,000 square feet, respectively, with the upcoming 365 stores in Buckhead and Decatur closer in size to Briarcliff at 29,740 and 35,000 square feet, respectively. Linked here is Whole Foods Market's Form 10-K filing for the fiscal year ended September 26, 1999. One of the more amazing stats is their sales, which in fiscal 1999 were about $1.6 billion, whereas in fiscal 2016, they were about $16 billion. 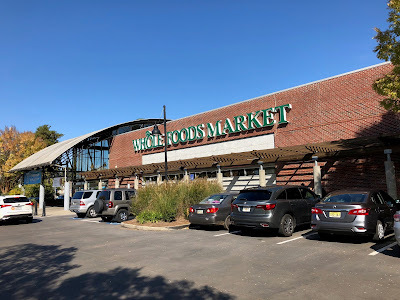 Interestingly, on the Whole Foods real estate page on their website, they provide the following information for those interested in having a Whole Foods Market store open in their community or as part of their development. The Briarcliff store seems to check all of these boxes and their prime intown, freestanding location is definitely among their most well located in metro Atlanta. Sources close to the grocer tell ToNeTo Atlanta that the company's best performing stores in metro Atlanta are Buckhead on West Paces Ferry Road across from the St. Regis hotel, and Midtown Place on Ponce de Leon Avenue across from Ponce City Market. When Whole Foods closes, it will mark the third natural foods grocer to close in the area in the past year. In March, Earth Fare closed its roughly three year old store at Emory Point. Then The Fresh Market closed their roughly three year old store in Brighten Park this past July. Many local folks in the community recommended supporting Your DeKalb Farmers Market, a longstanding, local grocer about six miles from the Briarcliff Whole Foods. "Whole Foods Market has grown from a single, small natural and organic foods store to a chain recognized nationally and internationally for high standards and amazing quality. Some of our stores are largely unchanged from the early days of our company and are neighborhood fixtures. Our newer stores are larger and offer a greater selection of products, but we continue to respect the neighborhood to which we are moving and strive to become an integral part of the community. We like to think that it isn't just the food that makes shopping at Whole Foods a great experience, but the store itself is a part of the experience. The architecture, the location, and layout of the products available to our shoppers — every single store is unique." All of this was once true, but under Amazon ownership, things are changing, and according to many shoppers, not for the better. "Among the many ways this world is falling apart, we might as well mention that Whole Foods is terrible now, too." Amazon's termination of a contract led to the closure of AtlantaFresh Artisan Creamery, a longtime supplier of the grocer, and most recently, led to the abrupt closure of three in-store Revelator Coffee shops, two of which were in metro Atlanta. Amazon has also adopted a far more centralized buying and marketing direction for Whole Foods, leaving many smaller purveyors out in the cold. 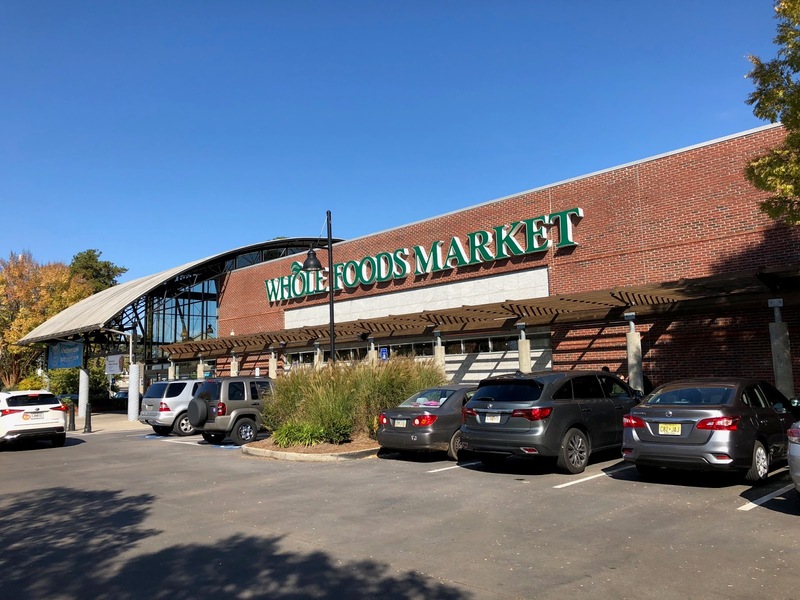 One theory is that Whole Foods has sold its land for redevelopment, likely multifamily, that could include a small Amazon Go convenience store as part of the redevelopment. Local sources speculate that the redevelopment could include the adjacent Mellow Mushroom pizza shop given its age and likely costly renovations being pushed by corporate. Mellow Mushroom, like Amazon, might also get space in the redevelopment as part of the deal. If an Amazon Go did open as part of the potential redevelopment, it would bring the property full circle, as prior to sitting vacant ahead of Whole Foods' 1999 opening, it was a convenience store and gas station. Are you surprised that Whole Foods Market plans to close its Briarcliff store? Do you think Whole Foods has gotten better or worse as a subsidiary of Amazon.com? What would you like to see open in place of Whole Foods when the store does close? 5 or 6 miles to those other locations might as well be 10 or 20 especially if one is trying to get to the 14th & W Peachtree location. Sorry to see the place close. I liked the smaller size. This is so lame. Fresh Market already left the area and they were miles better than Whole Foods to begin with. I'm NEVER going to drive from Druid Hills to Decatur for anything Whole Foods. The WF is a classic piece of Atlanta architecture. They should turn it into lofts. LOL let the whining from the Bezos worshippers begin! Honestly not a surprise. While I'm sure it does decent business, the location is a traffic nightmare, which pushes people to other locations. Add in the fact that it is too small for the current Whole Foods format, and you have a recipe for Whole Foods wanting to get out. With the land value of the area, they can make a nice profit by selling out for redevelopment. This is our closest one so I am not happy about this. I don't have the energy to research this but I would imagine multi-family would require a re-zoning so that would have been noticed if already underway. Not saying it couldn't happen in the future and Dekalb won't stand in the way. I prefer Sprouts but Whole Foods definitely has a larger variety of products, so I will miss shopping there. I will never drive to Midtown or Decatur to shop. This is not a Pac-Man game where people want to drive across town through Atlanta traffic to pick up their "cherries" so to speak. This is thriving part of town with interlinked communities. Residents enjoy the convenience of shopping here. Nobody wants to fight traffic and shop on "multiple floors" at 14th and Spring Street for their groceries. Nobody wants to traipse all the way to Decatur in Emory traffic for them either. Why not turn the Briarcliff location into a smaller 365 if you must and spruce it up a bit? I will hit Sprouts or Publix before I will go through the hassle of driving to the new locations. Did you guys not do your research? Why not live in this part of Atlanta a few months and see for yourself? Really??? That would be awesome! I like Lidl, but I'm definitely not driving to Austell and Mableton. "I'm NEVER going to drive from Druid Hills to Decatur for anything Whole Foods." This Whole Foods is located in North Druid Hills, which is north of Emory University, not in Druid Hills, which is south of Emory. It's actually quite easy to get from Druid Hills to Decatur, given they border each other. Further, the new Whole Foods 365 isn't in the city of Decatur, it's north of the city in unincorporated DeKalb County across the street from DeKalb Medical hospital. Whole Foods will likely lose my business. They closed the only store close to my school, and now are planning to close the one close to my job. They are crazy if they think 5 or 6 miles doesn't make a difference to someone who might only shop on the way home from work or school. My local grocery store will bring in more organic foods, and they are carrying more natural products, too. So bye-bye Bezos! Bad move, Whole Foods. Parking/traffic at the ponce store is a nightmare—i won’t be going there. And i work in Decatur. The new 365 is NOT in Decatur and NOT convenient to N. Druid neighbors or morningside. We love this little store, but i guess i’ll be back to shopping at the beyond-awful sage hill Kroger, which will now have no reason to improve as it will be the only game in my part of town. I am a bit surprised. This was the first Whole Foods around and still stays very busy! It is a convenient location. As others said, to Amazon, 5 miles down the road may not seem like much but it could take you 30-45 minutes to get down the road some days. I like smaller stores since I get in and out. It is a shame to see it close. This blows! I usually stopped by Whole Foods on the way home from work (@ Emory). Even though it was smaller at this location, the hot and salad bars were a great meal, and probably the main reasons I shopped hear as much as I did. I will not be stopping by the Decatur store (opposite direction of where I live) and do they really think people will want to cut through the traffic near Emory to get to that location?? I don't understand why they would close this store- it is always busy! This is my favorite whole foods. it is small and easy to do a quick shop. The cashiers have been there for so long they know my kids from when they were babies. I am sad to see whole foods give up this real NEIGHBORHOOD store for a shopping center in a more congested traffic area. Lame. I drive out of my way to go to this location. Much less hectic than Ponce. The lack of parking at the "Decatur" SF365 is already inadequate and half of the development has not yet opened. Closing the Briarcliff WF makes no sense whatsoever, particularly considering that teh 365 is not in Decatur at all, but wedged between Decatur and Avondal Estates and the traffic is horendous BEFORE any of the new housing is leased. Sadly if they REALLY think people are going to DRIVE OR SIT in Atlanta traffic only to hunt for a parking space which MIGHT be FREE if it's even AVAILABLE. then ride an elevator up and down to get their " Whole Foods Treats" then I don't know what they've BEEN SMMOKING!! I would love to see a TraderJoes!! For some strange reason I don't think there is one in DeKalb AT ALL!! What a strange, dumb choice by Whole Foods / Amazon. One wonders if they researched Atlanta traffic at all. This store is always busy and there's no way people are going to drive from here to 14th or N. Decatur -- those customers will all be lost. Trader Joe or Lidl would be smart to move in if WF is selling the property. On a personal note, I live next door and have been coming here for more than a decade. Will miss the staff who've been so familiar to us. Am glad to hear that WF is not firing them, just relocating them. Totally agree. Definitlely a loss of quality of life in the La Vista Park neighborhood with the loss of Whole Foods. Now with the loss of Whole Foods and Fresh Market at Brighton Plaza down the street we will need an even better store to take their place. Hope that either Eatzi’s that used to be in Buckhead many years ago or Trader Joes could take the place if either of these stores. We certainly dont need more condominiums to worsen the tradfic even further. Unfortunately I heard Trader Joes doesnt plan to open more stores in Georgia currently. 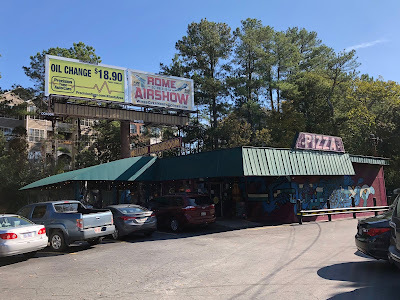 I tried emailing Eatzi’s in Texas ro see if they migjt have an interest in coming back to Atlanta. They were super busy here before. Eatzi’s had delicious ready made foods and many different food stations with quality items, even a little market. Great smell of freshly baked bread and classical music. If anyone from Eatzi’s is listening and smart, they should consider returning. We will miss this WF store and will not travel to the Midtown location or the Decatur location. The traffic is too much, especially with cold or frozen items in the summertime. We will shop at Toco Hills grocers instead, or sometimes the DeKalb Farmers Market. This is a true loss to the community and probably not a smart economic move on the part of WF. If Whole Foods can’t survive in the Emory neighborhood with tons of college educated professionals in the neighborhood and a new children’s hospital and new housing opening up in the neighborhood, best of luck in unincorporated Decatur! Folks from this part of town will not shop in midtoen or Decatur considering traffic. I suspect WF 365 will meet the fate of other grocery chains like Harris Teeter and the like. Should have left well enough alone. Greed has a way of backfiring. WF is insane if they think anyone will drive to these other stores. I live very close to the Briarcliff store and have never shopped there, because the traffic on Cheshire Bridge. Lavista, Briarcliff, etc. is SO bad, I stick to going TO work or TO home because either of those things takes a ton of time and has to be planned carefully. You don't just wander out from this area and think, hmmm, maybe I can go to the store, or whatever. You've got to plan it or else you end up stuck in traffic forever. So people who DID shop at Briarcliff did so because they weren't about to go anywhere else. They are almost captive. And WF didn't care about catering to those loyal customers. Too bad. The site would be ideal for a Lidl but sounds too small for what they like to build. An ALdi would be nice too. Either would be worth the traffic. Trader Joes will never come to Briarcliff as the Monroe Drive store is not far away. Any word on what might go into the old Earth Fare location? Very disappointing. But in answer to your request for suggestions this Florida transplant suggests a Publix Greenwise Market. It a little like a Publix - in that you can get your basics but heavy emphasis on lots of natural food brands. Much more of their organic housebrand - Greenwise. More organic produce. Medium size vitamin dept. with most major brands and lots of natural brand toiletries. Also the rotisserie chickens there are made with the organic chickens. Hot bar and gelato too. Where I lived it was a great neighborhood addition even though the Publix was only about 2 miles away. This would be a great sub for the neighborhood and a good thing for ATL.